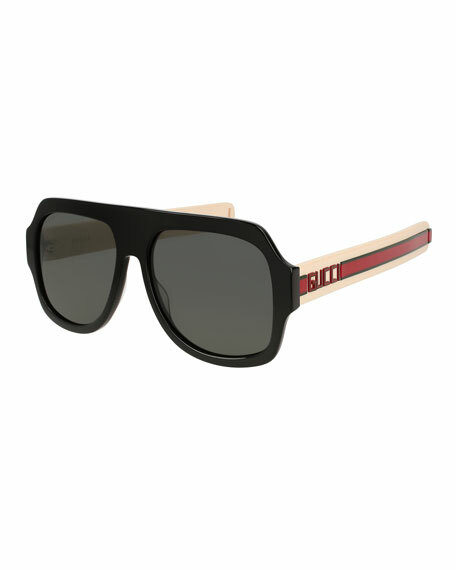 Gucci sunglasses in injected propionate, featuring raised block logo and signature Green/Red/Green Web. Fashion sport concept, bold square frame with flat top. For in-store inquiries, use sku #2504993.